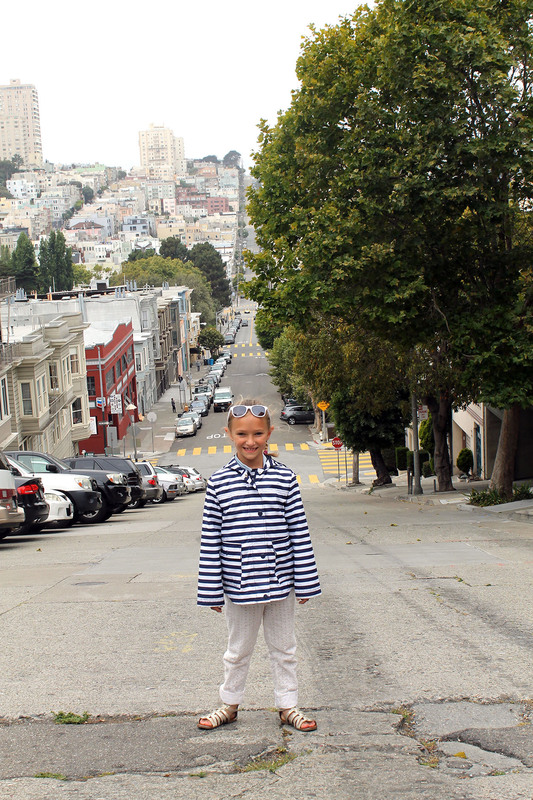 My family just returned from San Francisco, and I thought I would share five of our favorite things about the city! 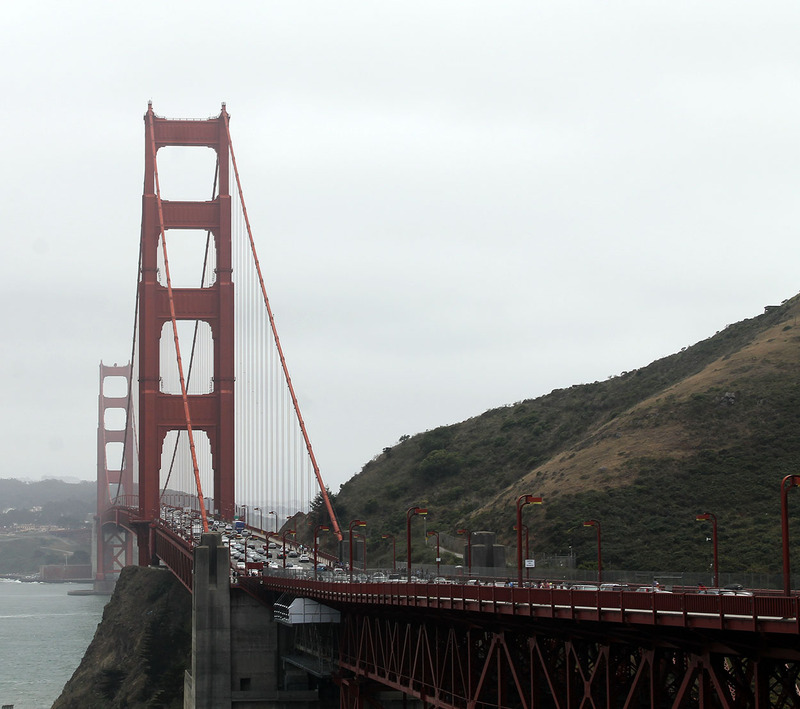 You can’t visit San Francisco without going across the Golden Gate Bridge. In fact, we traveled across it a total of four times…two round trip rides. The first time across was on an open air tour bus. 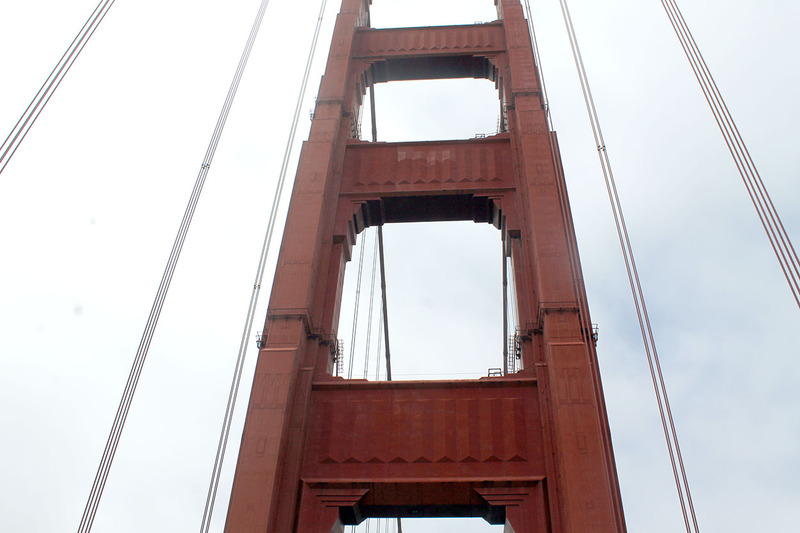 Wow, what a feeling it was riding across such an iconic symbol of the city with my hair blowing in the breeze while looking up at the structure. We were able to stop at the vista point just on the other side of the bridge to take a few pictures. 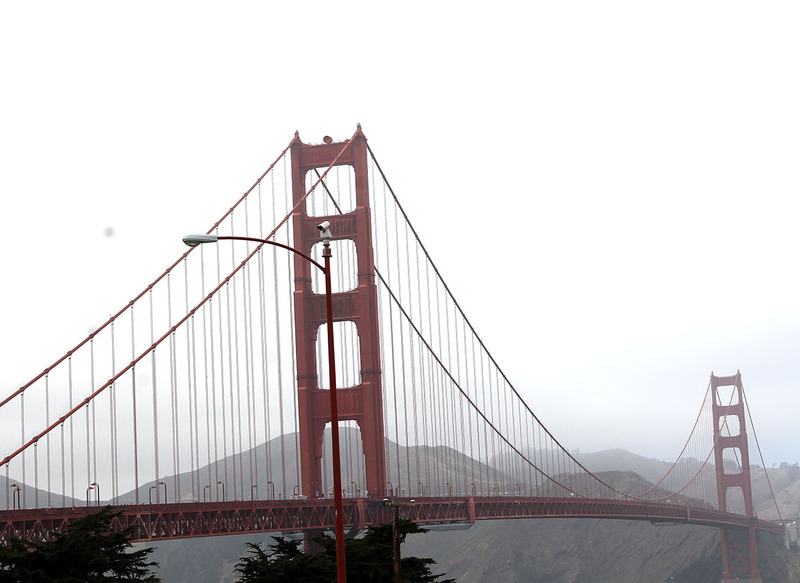 It was a typical cloudy day in San Francisco, but we were able to get a few good photos. 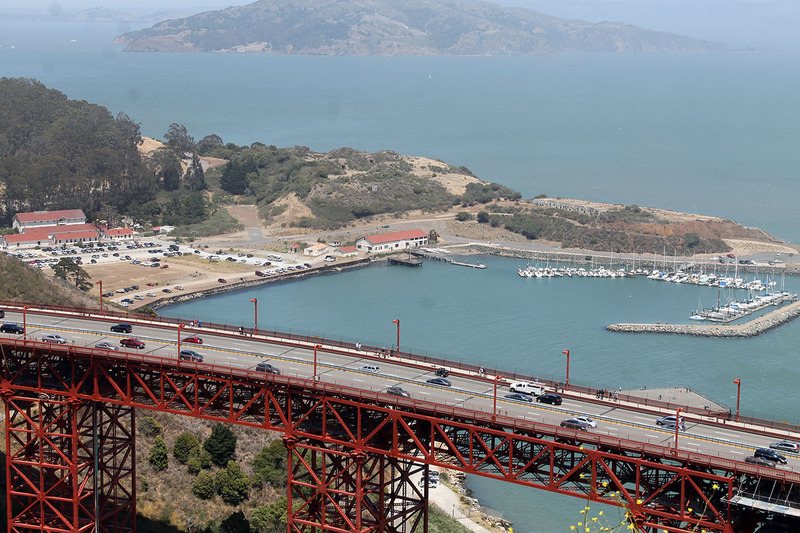 The second trip back and forth across the Golden Gate Bridge was a few days later when we traveled north to Muir Woods in our rental car. We stopped at another lookout point on the other side of the bridge. It gave us a different view of the bridge as we looked down from an elevated area, but it was definitely more windy there. 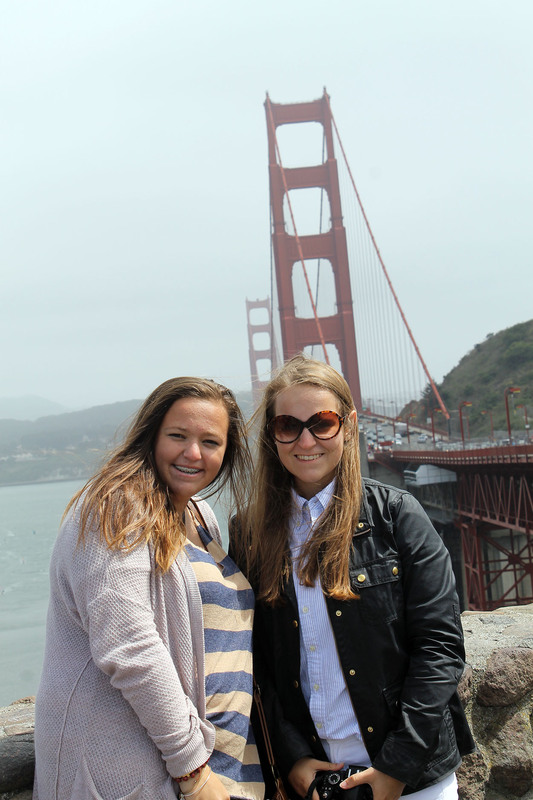 We felt like the wind was going to knock us over, so we didn’t stay at that spot for too many pictures! 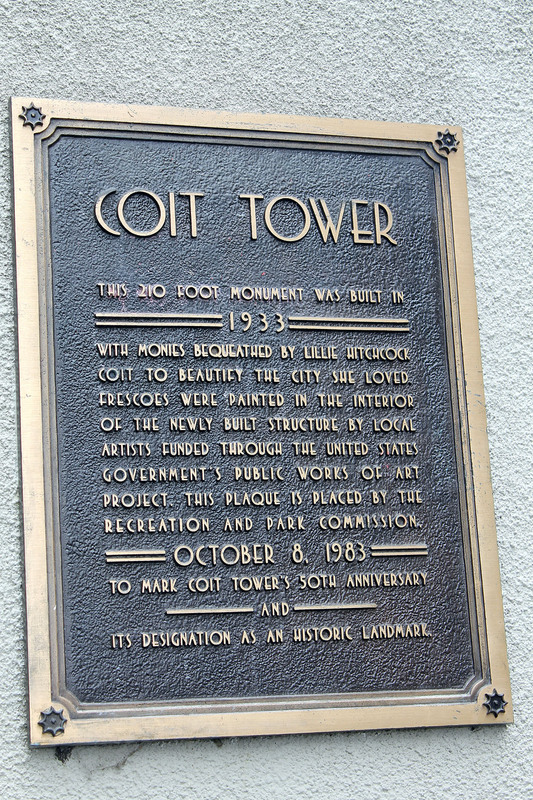 I had been to San Francisco two times previously, but I had never visited Coit Tower. I highly recommend taking the time to do this. 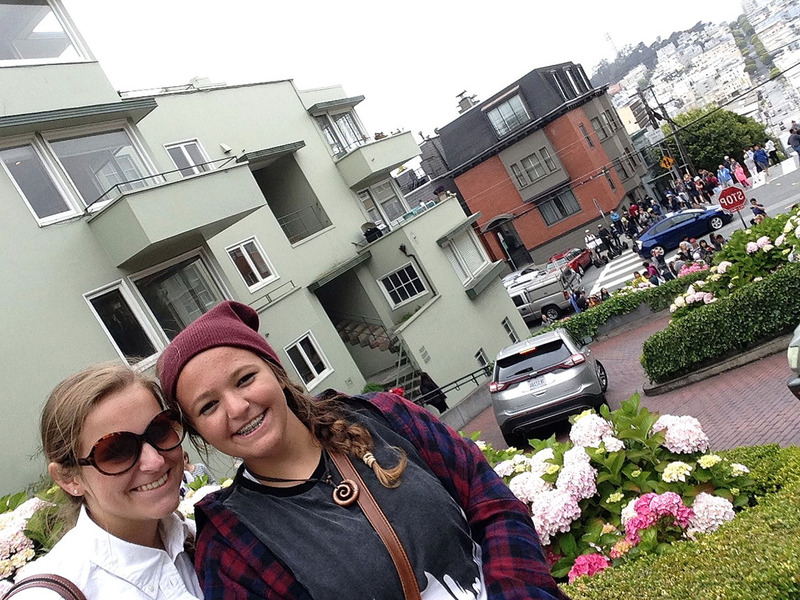 It is more about the journey than the destination…the “climb” up the street to Coit Tower was incredible. 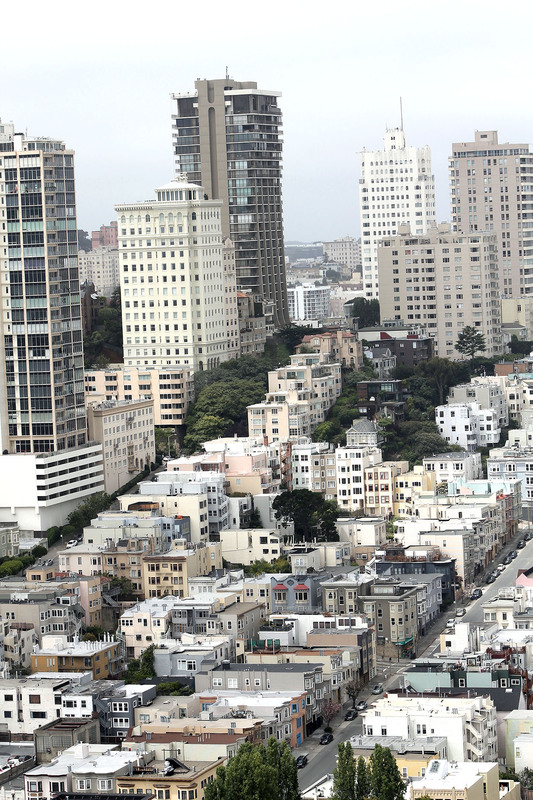 Think super steep streets with fantastic views, and you are not even up in the tower yet. 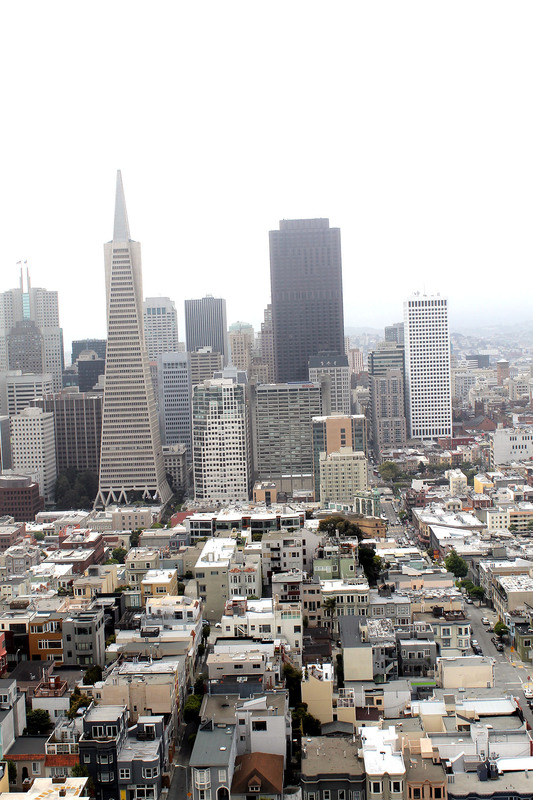 Once up inside the tower, the 360 degree views of the city are amazing. 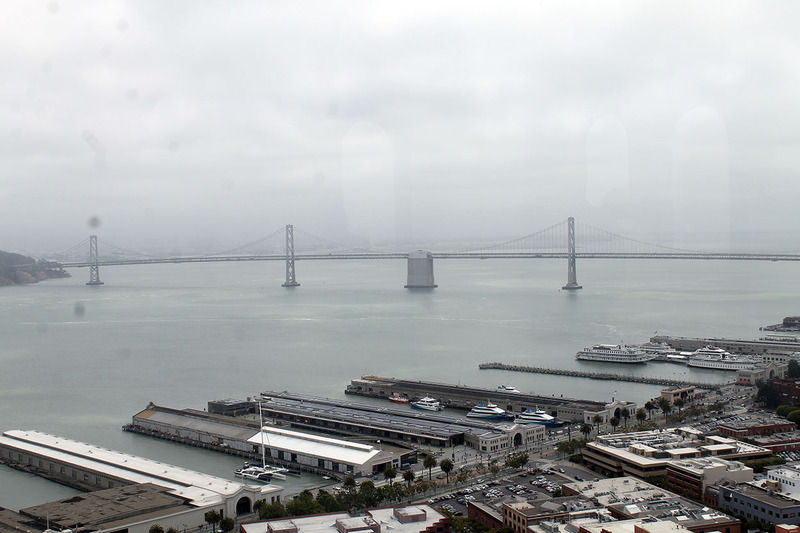 It was somewhat cloudy the day we were there, but we were able to see both the Golden Gate Bridge and the Bay Bridge, as well as Alcatraz Island. 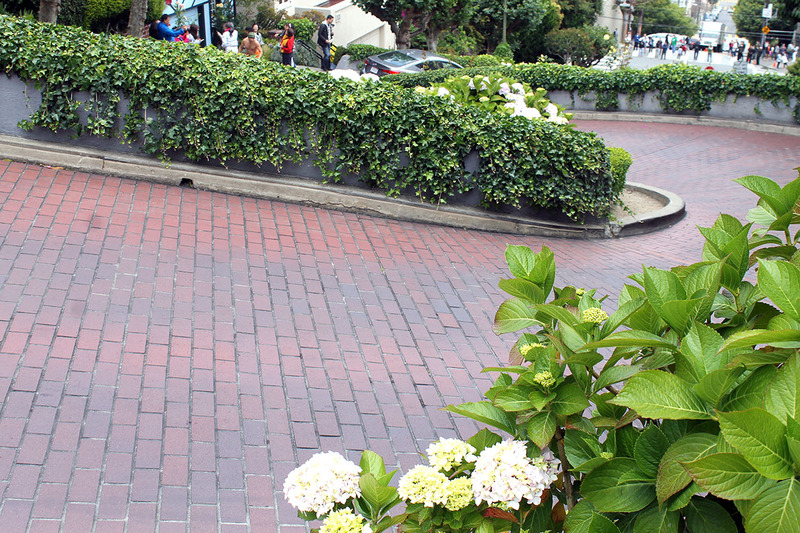 Lombard Street is known as the “world’s crookedest street.” We had a very knowledgable taxi driver who told me the story behind the street. Back in the days of horse and carriage transportation, the very steep streets of San Francisco posed a threat to the horses. It was difficult for the horses to trot down the sloped streets without injuring themselves. The curvy zigzag pattern enabled the horses to gain traction without slipping down the street. Now the street is a popular spot for tourists! 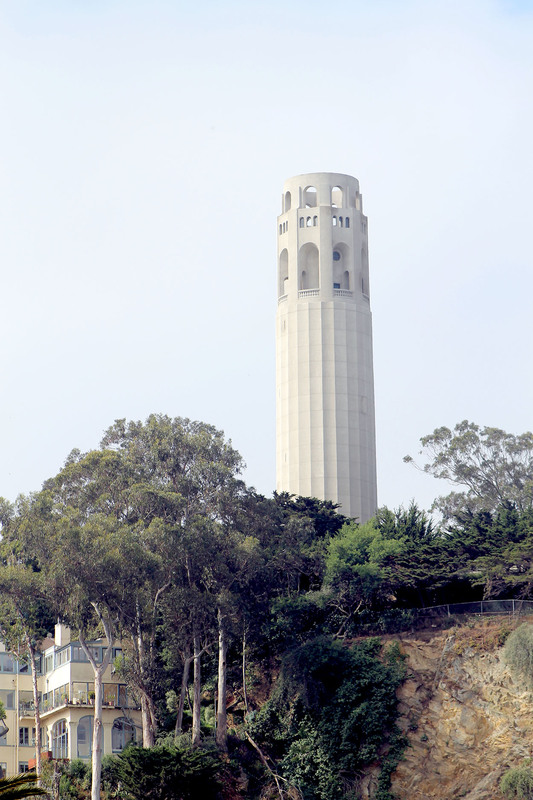 We decided to walk there after visiting Coit Tower. 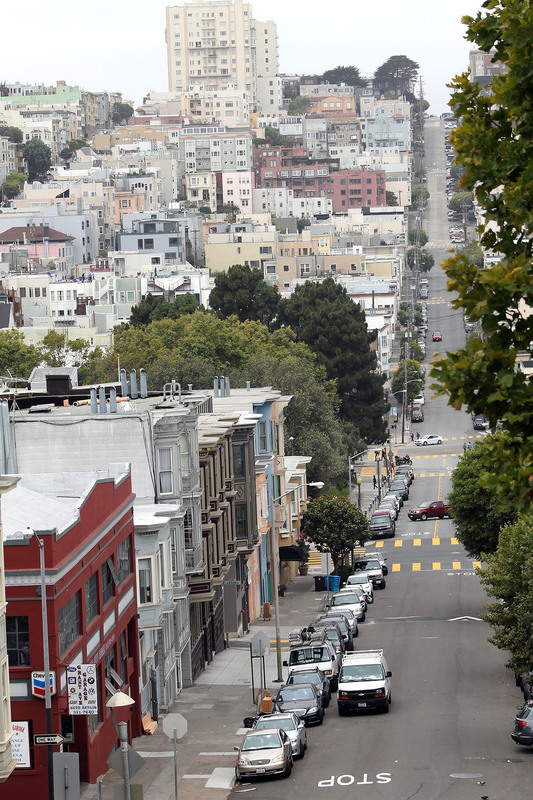 So it was back down the steep street, walk a few more city blocks, and…back up another steep street. It was so worth the climb, though. 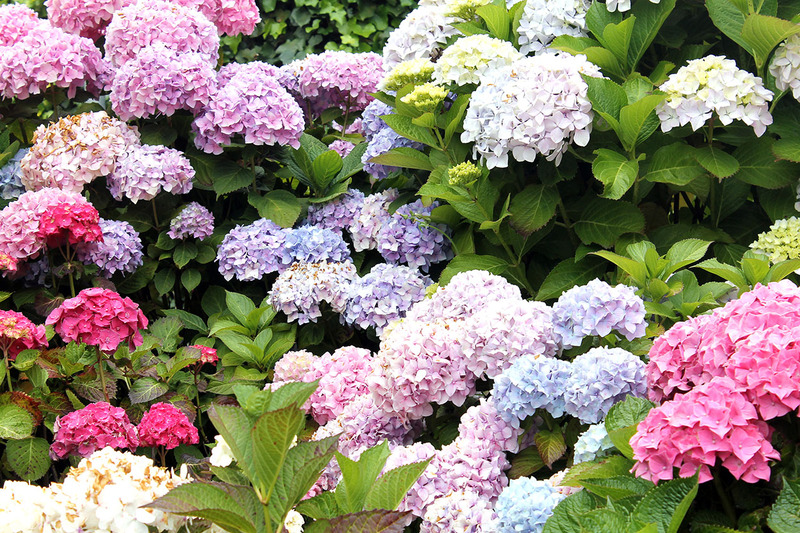 Not only is Lombard Street very unusual in its design, but it has beautiful hydrangeas all along the street. Not a sight you see everyday! 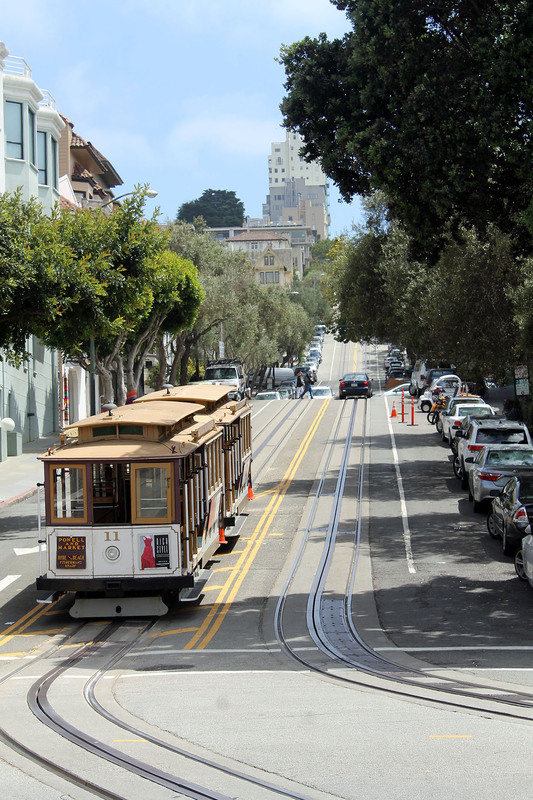 The San Francisco cable car system has been in existence since 1878. 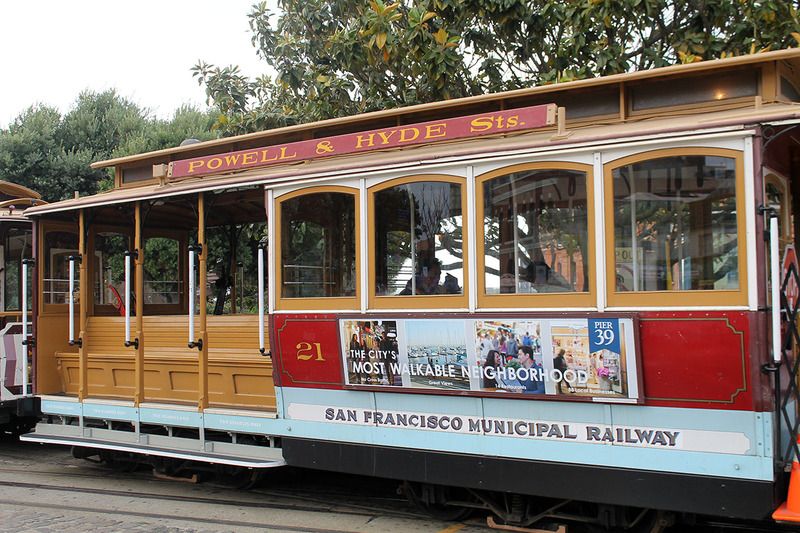 It began as a way to navigate those steep streets in the city, and it is still in operation today. We rode it twice while on our vacation. The first time was in the late evening. 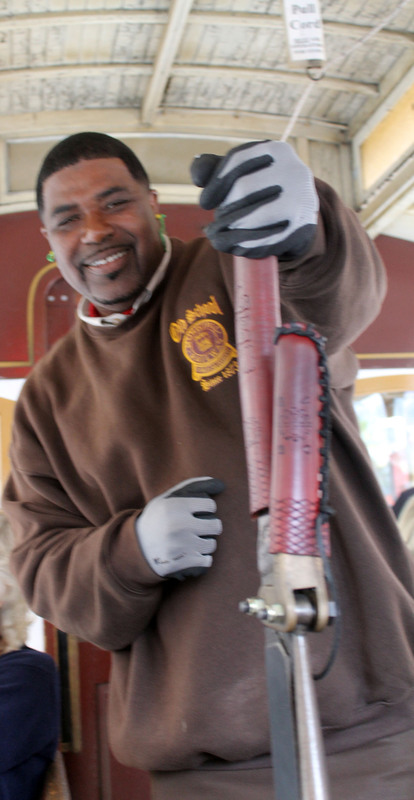 It was somewhat chilly, so I sat inside the cable car. 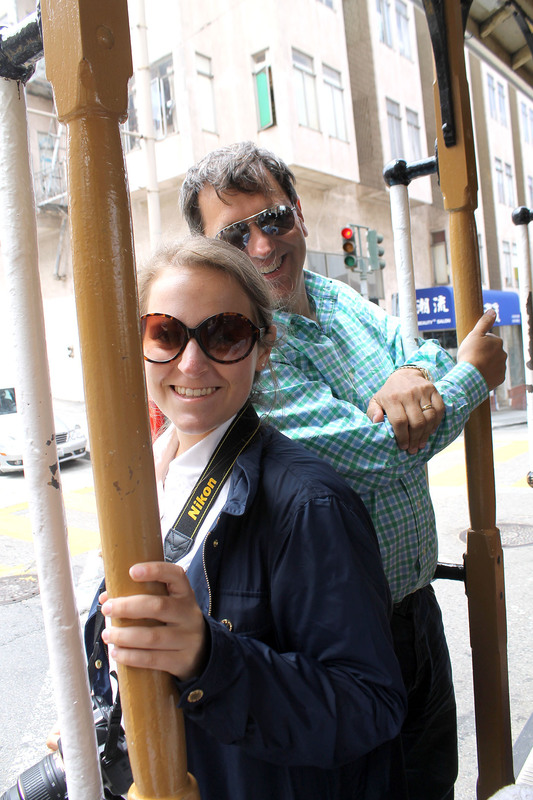 The second time was after our “climb” up Lombard Street…what better way to get to Union Square than hop on a cable car! 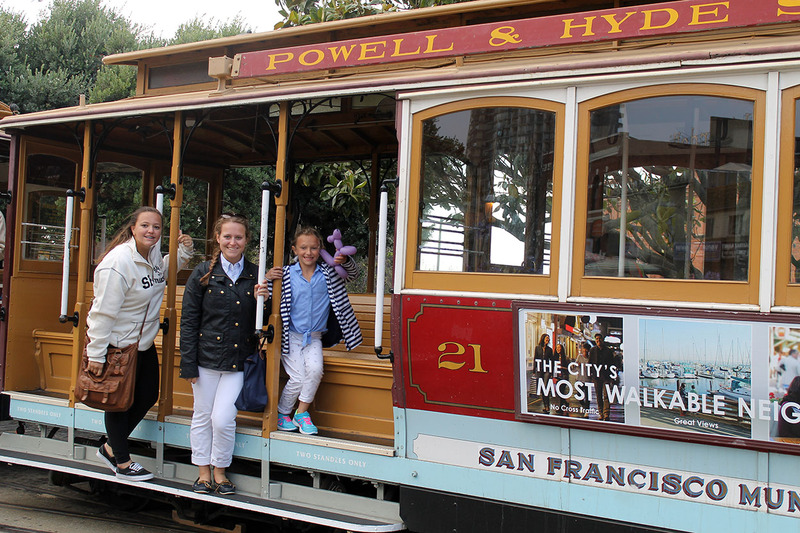 My girls were thrilled because there was space for them to ride standing on the outside step of the cable car…definitely a fun memory of the trip. 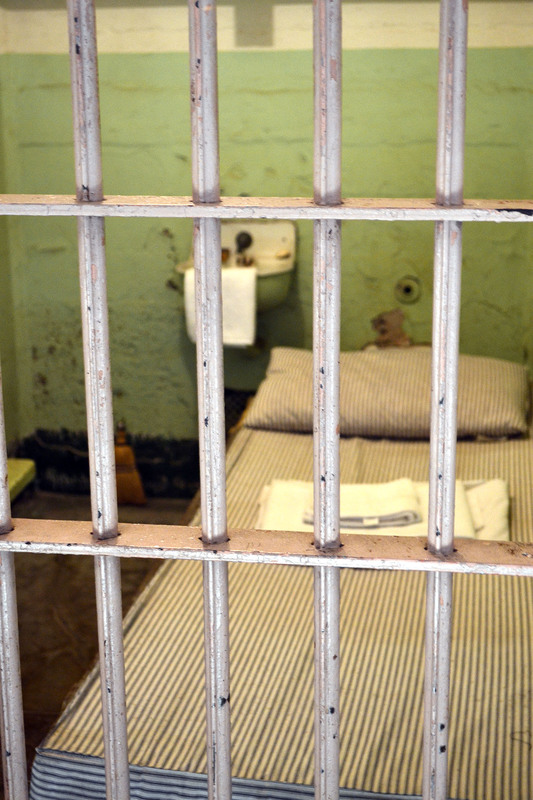 The Alcatraz audio tour is fantastic! 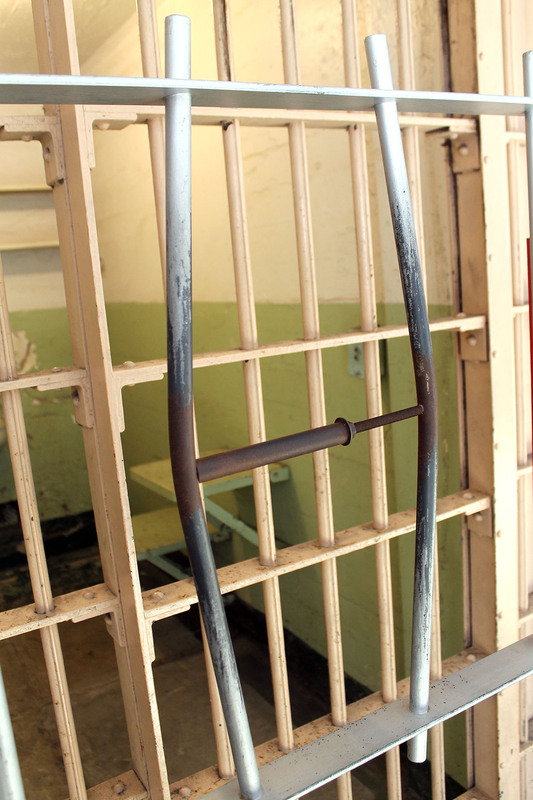 My hubby and I took the tour over 20 years ago when we were in town for a job interview, and we knew that we wanted our girls to hear and learn about the history behind the notorious prison. Even our youngest daughter enjoyed it…I think she followed the narrative better than the rest of us! We knew it was quite a popular tourist place, so we purchased our tickets online in early April. So glad we did…tickets are sold out until mid July. 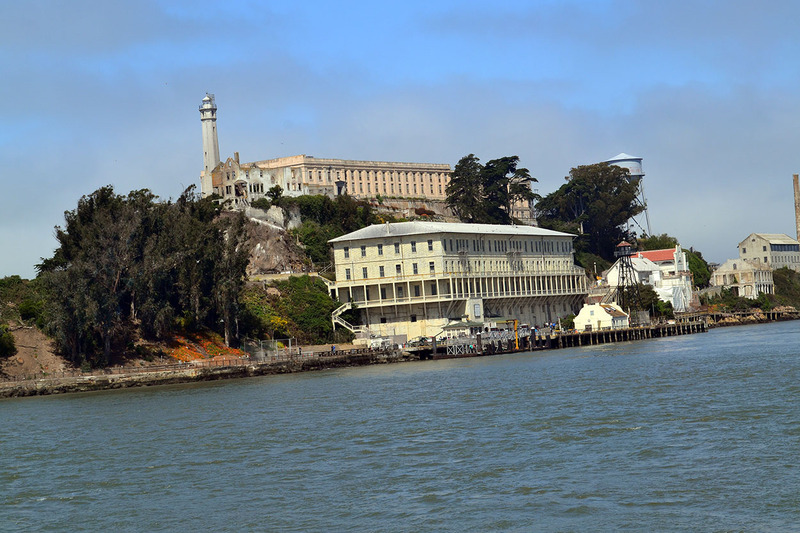 We arrived that morning and boarded the boat to Alcatraz. Great views from the boat! 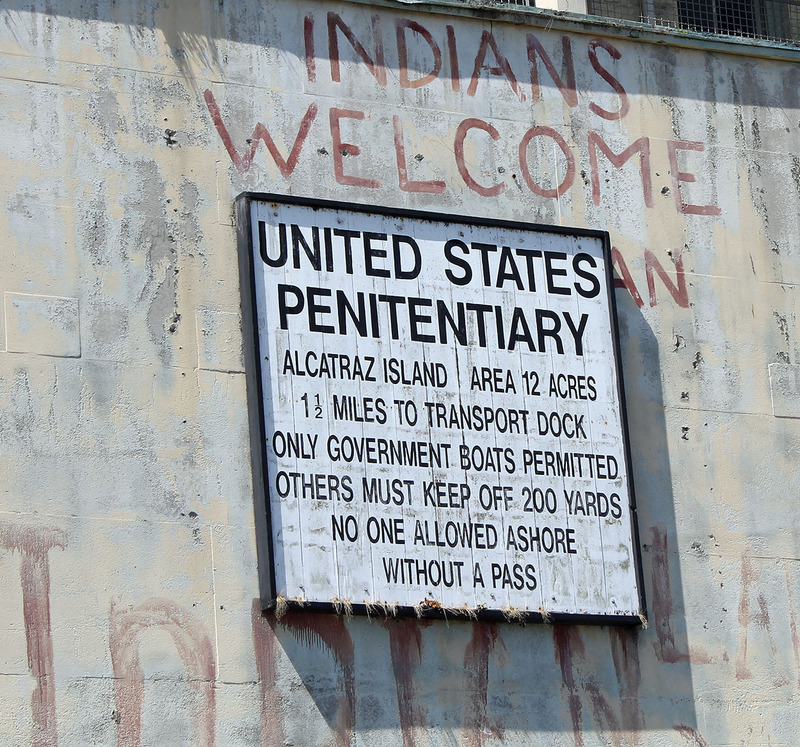 Once on the island, you can stay as long as it takes to tour Alcatraz. Lovely pictures, Beth. A lot of information about a city I’ve never been to! Thank you! Such a fun family trip! 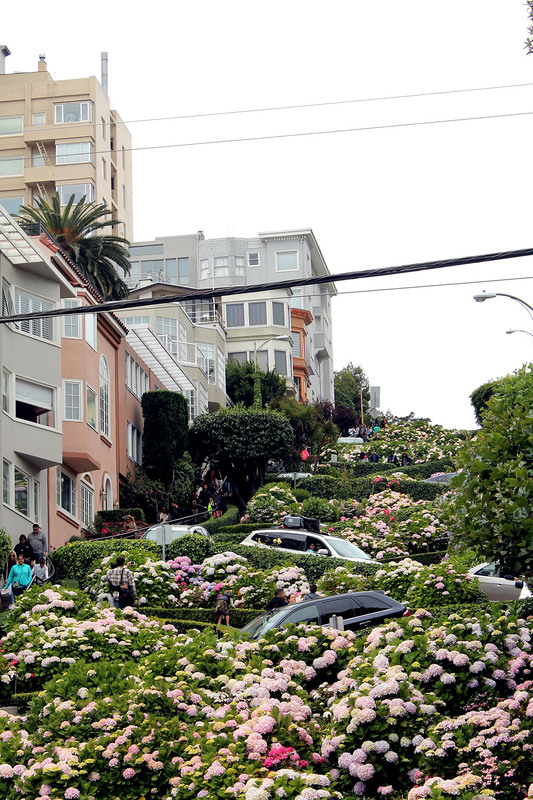 You would love San Francisco!